Peugeot is hoping the design of the e-208 electric car will help it become a true mass-market electric vehicle. The Peugeot brand has been the driving force behind PSA Group's record financial and sales performance. The 3008 and 5008 crossovers have become international hits while cars such as the 2008, 208 and 308 continue to be strong sellers. This year, Peugeot will sell a full-electric version of the new 208, along with plug-in hybrid versions of the 508 and 3008. Peugeot CEO Jean-Philippe Imparato talked about the brand's future with Automotive News Europe Correspondent Peter Sigal. 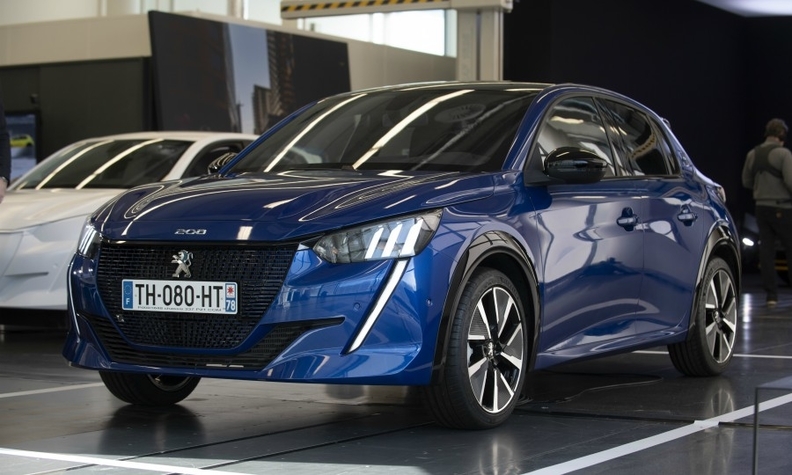 With the introduction of the e-208, Peugeot is selling a true mass-market electric vehicle for the first time. How will you convince buyers to choose an electric powertrain? There are three key messages around the 208: The first is design. We think it's irresistible, and there's no difference between the internal combustion and electric versions. The second point is the i-Cockpit design, which has been a hit in the 3008 and 508. It's also the first car in the segment with an eight-speed automatic transmission. But the main message we want to send is: We make it simple to choose your powertrain depending on your usage of the car. We are focusing on the residual value of the car, switching from a focus on the MSRP [manufacturer's suggested retail price] to TCO [total cost of ownership] and leasing. In some countries, depending on incentives and CO2 taxes, the TCO for the electric 208 will be the same as a gasoline model with an automatic gearbox. For a 48-month lease, we are offering the gasoline version for 269 euros a month, diesel for 289 euros and electric for 299 euros. These figures show that in the next five to six years the electric vehicle market will move a lot. The real question is the infrastructure. Main challenge: Managing the transition to electrified vehicles with the launches of the 208 full-electric variant and plug-in hybrid versions of the 508 and 3008. 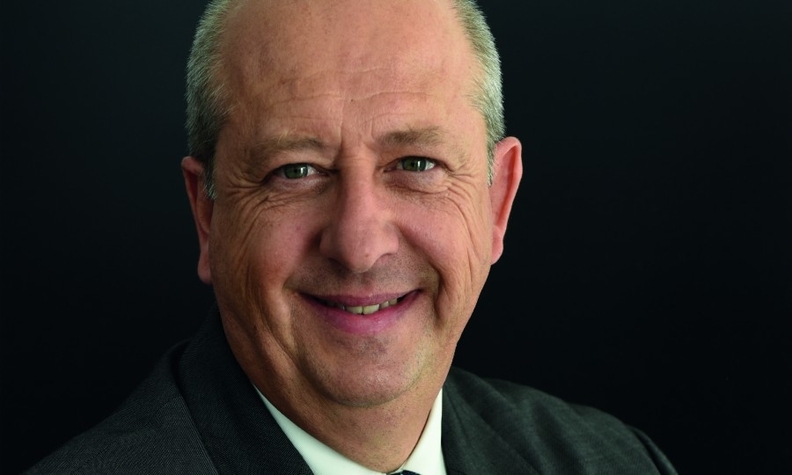 PSA CEO Carlos Tavares has said that Peugeot would lead PSA's return to North America. What can Peugeot bring to the market there? I will detail the plan next year. We want to come back in a scalable way, and we don't want to waste billions in operations. I have studied the market for years now, and we have found that our history is very much appreciated, as is our design -- including the i-Cockpit, as is our driving experience. When we launched the 3008 [compact crossover, in the beginning of 2017] the feedback we got, including from focus groups in California, was, "Wow, this car is super." We want to balance our risk between Europe and outside Europe because we are too European-centered at the moment. PSA has struggled in China. What can Peugeot do to contribute to a comeback there? In the coming four months the lineup sold by Peugeot in China will have an average age of 3 years, so it's a young lineup. We will have the new 508L [extended wheelbase model], the 4008 [sold as the 3008 in Europe], the 5008 and the 408 [face-lifted compact sedan]. We don't want to fall into the trap of offering big discounts. We will also consolidate our dealer network. I think about 200 is the right level, provided they are profitable. We have more than 350 now. You have to be ready to cope with new car sales, used car sales, aftersales and parts. If you only focus on new car sales, in a declining market, you are in real trouble. So, we are looking for stability, about 10,000 to 20,000 cars a month, and to make our joint venture profitable. The new 508 Peugeot Sport Engineered concept that you showed at the Geneva auto show last month is a very high-performance plug-in hybrid, with 400 hp and all-wheel drive. Is there a market for this compared with conventional high-powered variants such as the 308 GTI? I'm betting yes because traditional sport models such as the 308 GTI will disappear [because of emissions regulations]. Paying an extra 10,000 euros [in emissions fines] per vehicle is not an ethical way to drive the change to cleaner vehicles. You can have a car that is fun to drive that will also respect the energy transition that we are coping with. Could we see a production version of the e-Legend sports coupe concept? Obviously, we had great feedback for that model. Once we manage the EV in the coming year, we will decide yes or no, but I prefer to put our money into the transition [the electrified models] right now rather than on the e-Legend, which would be an investment of about 250 million euros. Finding 20,000 customers at about 80,000 euros a car isn't so easy. This story is from Automotive News Europe's latest monthly magazine. To view the new issue, as well as past issues, click here.